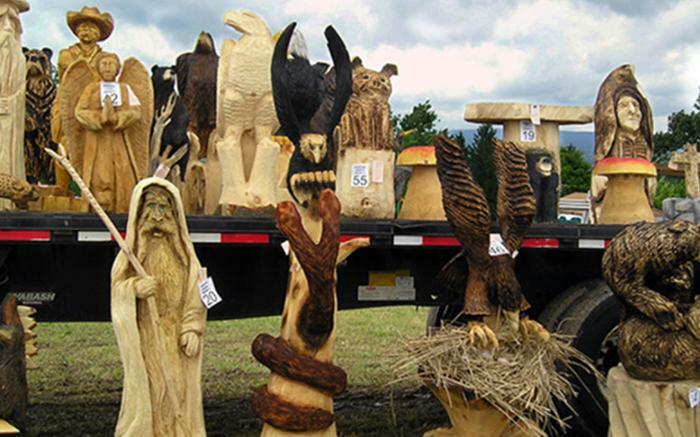 Each carver is asked to donate one or more (maximum of 4) carvings to be auctioned off to the highest bidder. The auction is held on Saturday June 15th at 3:00 p.m. Don't miss the opportunity to own this "extreme" art. Net proceeds from the festival benefits the Somerset County Blind Association, an organization whose mission is to provide social, vocational, rehabilitative and educational services for people who are blind or whose vision is impaired. Over the past 15 Festivals the Confluence Lions Club has donated $135,300 to the Somerset County Blind Association.